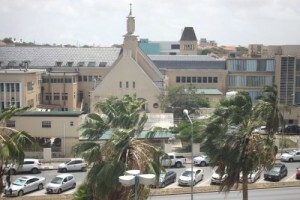 WILLEMSTAD - Medical director Franke Scheper of the Saint Elizabeth Hospital (SEHOS) confirms that one of the surgeons in the hospital has not been allowed to perform surgeries since Saturday, January 13. The Board of Directors of the SEHOS took this measure when those particular 'rumors' came to light about the doctor's functioning. The Public Health Inspectorate is investigating the case. Scheper says that 'in close consultation with the Department of Surgery' it was decided in the first instance to have the specialist in question only operate under the supervision of the head of the department. In order to create peace and ensure the safety of patients, this measure has been tightened and the surgeon is not allowed to operate 'pending the investigation' for the time being.